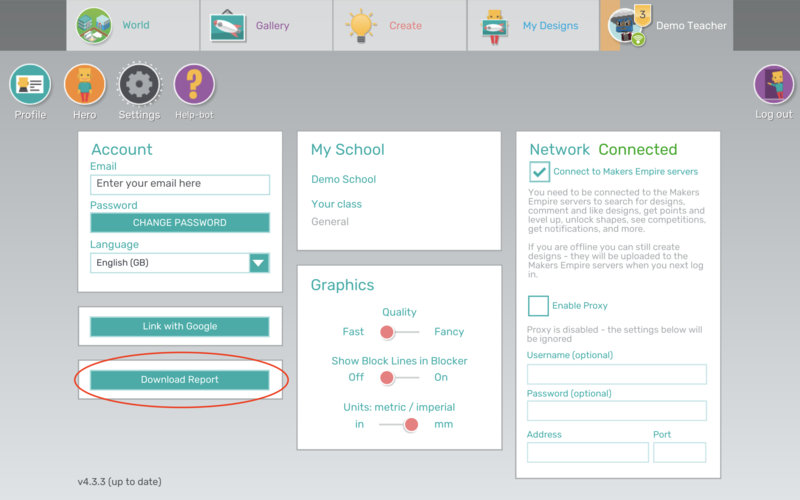 You can quickly download a report on your students progress anytime, directly from the Makers Empire 3D app. 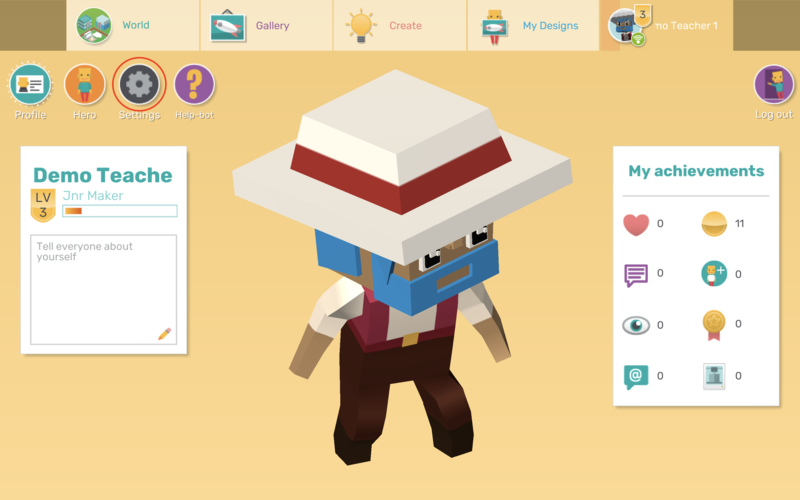 You can download a report anytime to get a quick visual record of your student's progress in Makers Empire. This is a big time-saver for teachers at grading / assessment time, and can be a great record to show parents and colleagues too. 1. Log in to the Makers Empire 3D app, go to your Profile tab and click the Settings (cog) button. 2. Click the Download Report button on the bottom left of screen. 3. Select the username of the student whom you'd like to download a report for, or select "All users on this device" to download a report on all student's work created on that device. 4. Select whether you'd like to download a report on All designs or only Assessed designs. 5. Enter your teacher PIN and click the Next button. Your PIN is set by your system administrator when they install Makers Empire 3D. To reset your PIN, you'll need to contact your system administrator. *NOTE: Do not share this PIN with your students. 6. You will be prompted to choose a location on your device where you'd like to save the report(s) to. 7. Once the report had downloaded, double click the file and it will open in a browser window.